It’s hard to find people who’ve never heard about major restaurant chains such as Burger King or McDonalds, but much of that is due to the fact that these places are still around today. In the past, there have been countless classic restaurants that people absolutely loved… But due to financial troubles, they were forced to either close down, or at least diminish their presence to a minor quantity of locations. For a lot of loyal customers, it was tough to see their favorite restaurants shut down, and they never forgot about them. What is it about restaurants that pull us in so strongly? One of the answers to that question is obvious – the food itself needs to be incredibly tasty. But another thing that sticks in people’s minds when they go out to eat is how they feel when they sit down. And this is why so many people are nostalgic about some of these iconic forgotten restaurants from their younger days, such as Doggie’s Diner, or Sambo’s Pancake House. For a lot of these eateries, their downfall was primarily due to the presence of much larger chains – but for the customers that supported the little guys, they never stopped loving them. 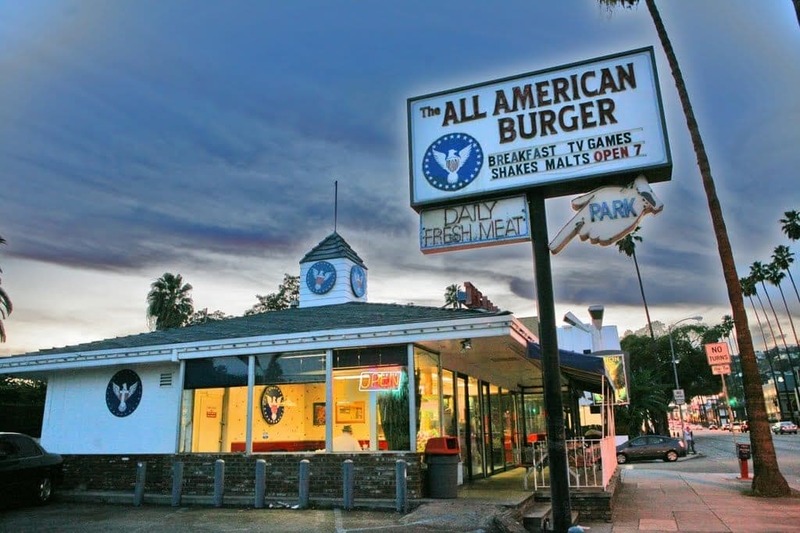 Back in the 70s, The All American Burger was one of the most successful burger joints around, and for good reason. With a catchy title like that, and delicious burgers fresh off the grill, it provided a dynamic combination. But if you feel like you recognize this restaurant for another reason beyond it’s culinary accolades alone, perhaps it’s because you remember it being featured in the cult classic comedy film Fast Times at Ridgemont High. Unfortunately, the chain declared bankruptcy in the 80s. 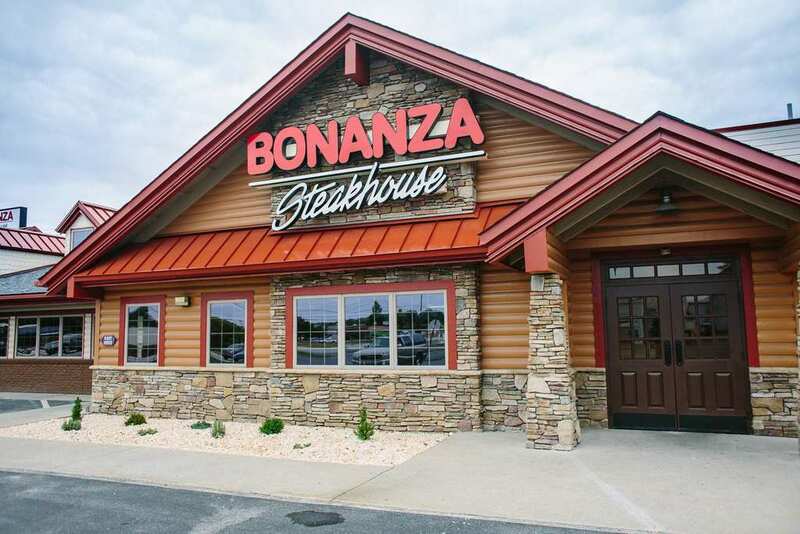 For those of you who remember Texas based Ponderosa and Bonanza Steakhouse, you may still be drooling over the juicy steaks and succulent fish that they used to serve. For the ones who don’t remember the restaurant, you may be intrigued to know that the reason there are two names in the title is because they are actually two different steakhouses – but they are simply owned by the same company, Homestyle Dining LLC. There used to be hundreds of them, but today there are less than 20. 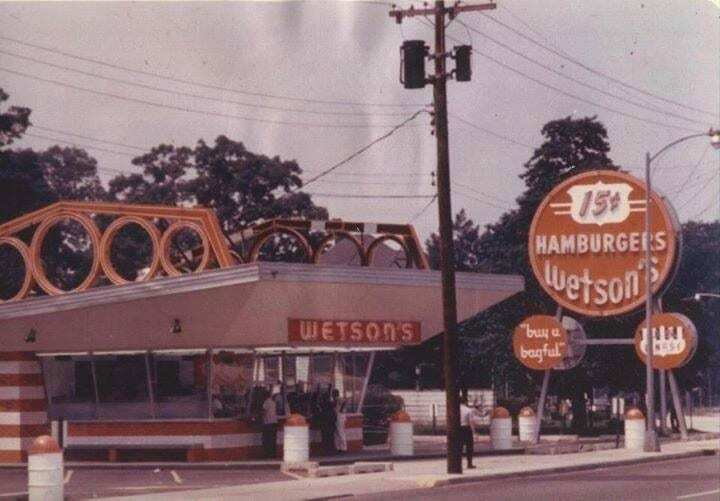 Every restaurant has a good origin story, and Wetson’s is no different. When Herb Wetanson met the founders of McDonald’s back in the 50s, he was inspired by the burgeoning fast food market and decided to start his own chain. He opened Wetson’s in 1959 and over the years managed to create up to 70 thriving branches. But by the time the 70s rolled around, fast good giants such as McDonalds and Burger King put him out of business. If you just did a double take, we don’t blame you. 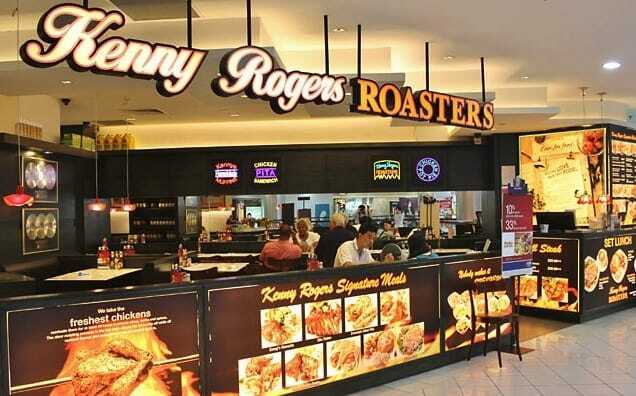 Kenny Rogers is a legendary country singer, and he did in fact own his own string of restaurant back in the 90s. His business partner was John Y. Brown, and once they hit the market with their delicious chicken products, it became pretty huge. They even appeared in a Seinfeld episode – but unfortunately, that was their main claim to fame, and eventually the restaurant was sold to the more prominent Nathan’s restaurant. 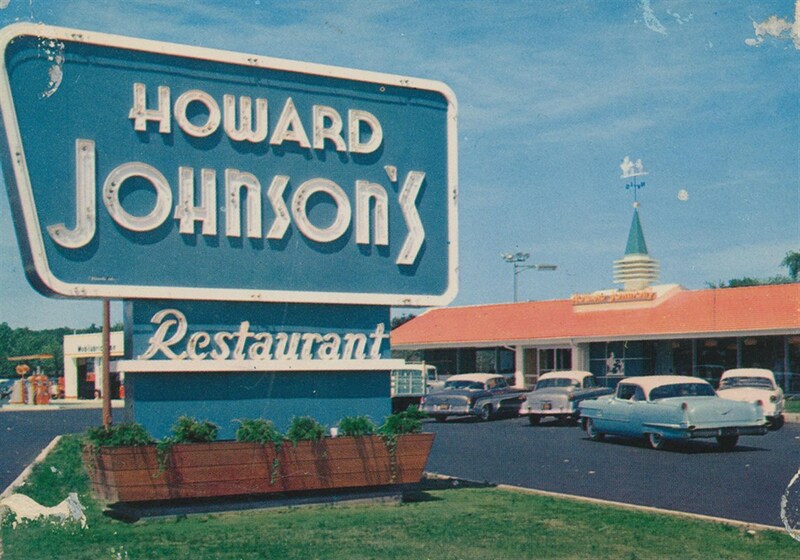 Out of all of the various restaurants on this list, Howard Johnson’s has perhaps one of the longest lifelines, extending all the way back to the 1920s. For decades, the restaurant was a huge part of American culture, and the chain did so well that they ending up creating over 1000 chains! But although it enjoyed a fruitful life, eventually it would diminish over the years, as of today, there is actually only one small Howard Johnson that exists. One of the healthiest things about any industry is the presence of good competition. 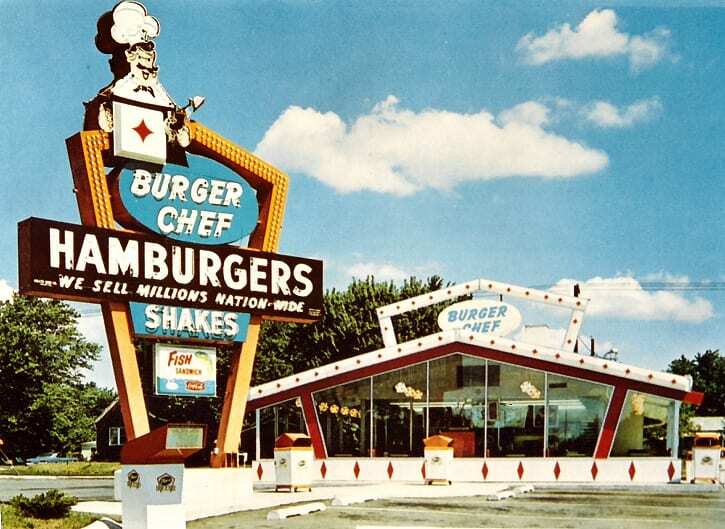 And when Burger Chef was at large in the 50s, 60s, and 70s, it had a strong rival in McDonald’s. And although McDonald’s would prove to outlast Burger Chef in the long run, there is one thing Burger Chef did that McDonald’s will never be able to touch. They were the first restaurant to ever introduce giving out toys with the meals. There is nothing quite as valuable to any restaurant like a good reference in their name that may draw people in before they’ve even taste a morsel of food. 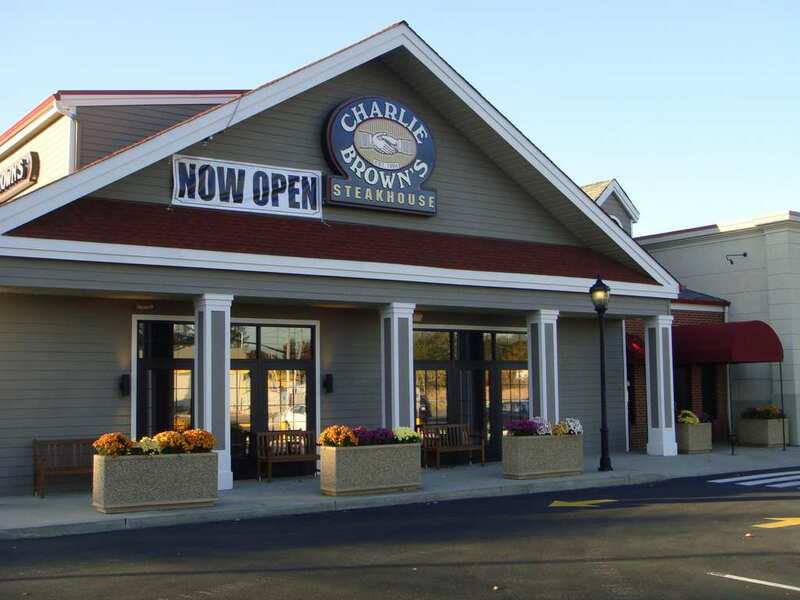 “Charlie Brown” certainly accomplished that for them, but once the people sat down and started eating their juicy steak, they stopped caring what the restaurant was called, because their taste buds were screaming with pleasure. Originally based in New Jersey, the chain was at its largest in the 80s and 90s, but nowadays there aren’t two many locations around. 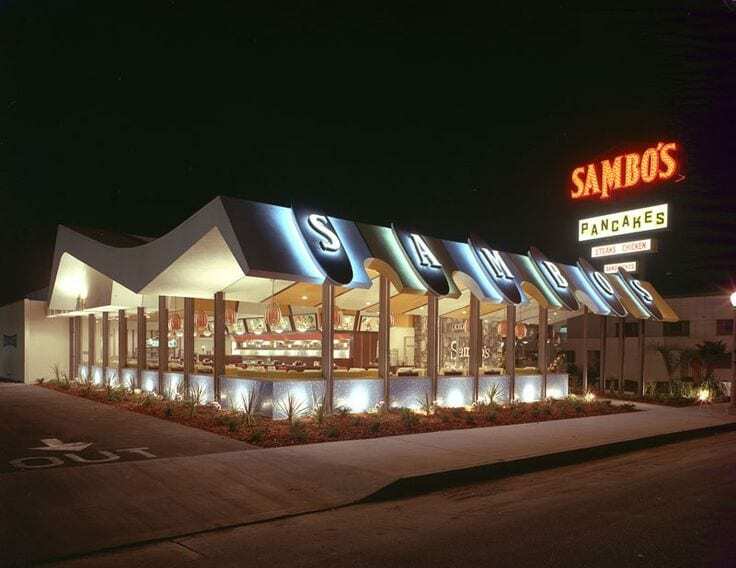 While Sambo’s was a beloved diner that got its start as far back as the 1950s, there was a considerable amount of controversy that surrounded it from time to time. Some people thought that the name “Sambo’s” was a derogatory slur for black people. But while some people felt this way, not enough people agreed, and furthermore, the food was incredibly tasty. The pancake house diner continued to thrive but eventually lost its popularity, and some of their locations were eventually sold to Denny’s. 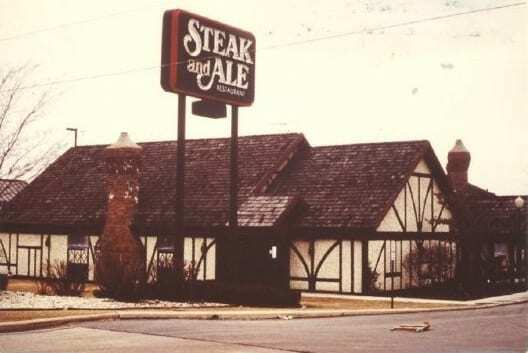 When you’re driving down the road and see a big sign that says on it, “Steak and Ale,” how can you not be intrigued? Add to that the fact that this particular steakhouse was unique in that offered its steaks at an affordable price, and the result was absolute greatness. They were one of the first to do this, and they’re influence on the food industry will live on forever. That said, once bigger chains took their idea, they began their steady decline, and eventually closed down for good. Now ain’t that a catchy name? A restaurant needs to have tasty food, but it certainly is helpful if they can grab people’s’ attention with a good name. Interestingly enough, they started out as a small ice cream parlor, and then wanted to get in on the fast food hamburger action. They thrived in the 50s, but when the 60s came around, it was hard for them to compete with the bigger boys. 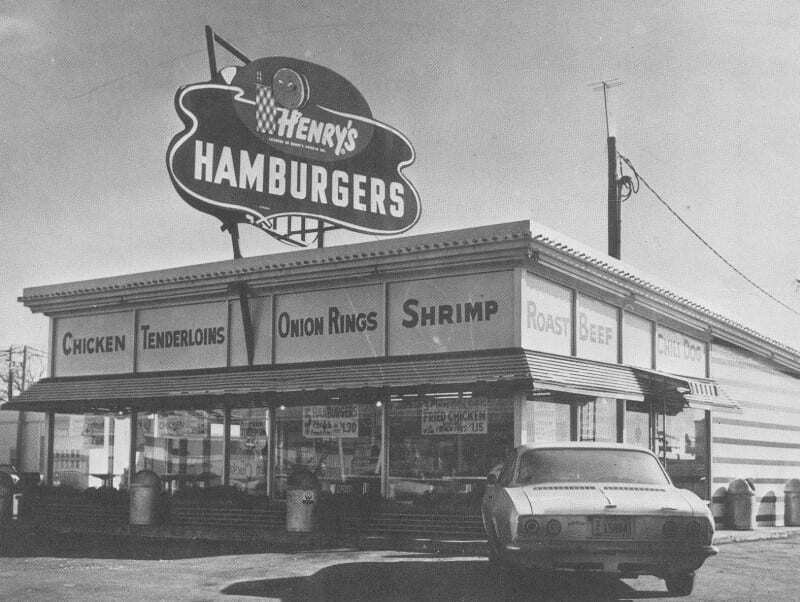 To this day, there is only one Henry’s Hamburgers, and it resides in Benton Harbor, Michigan. Can you get a better name and logo than the one you see here? Minnie Pearl’s Chicken – it’s just that simple. 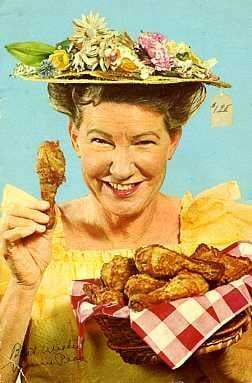 Furthermore, this picture of country singer Minnie Pearl holding the fried chicken with a huge smile on her face is so suggestive and enticing that we’re getting hungry just writing about it. Although the restaurant chain didn’t last, it was one of the most popular places to get fried chicken in the 60s. One of the oldest eateries on this list, Nedick’s originally got its start in the 1913, in the heart of New York City. A practical breakfast-style diner that offered orange juice, coffee, and donuts as well, it would eventually expand to countless other locations in the Northeastern region of the United States. But like many of the others on this, they eventually would lose business to larger rivals. For them it was Dunkin Donuts, and they officially closed down for good in 1981. When you look at the picture here, we think it goes without saying that this restaurant has the cutest mascot on this list. 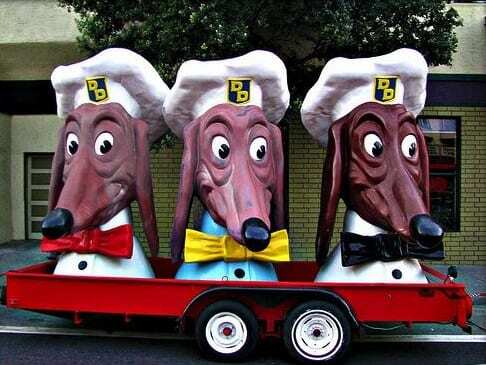 The Doggie Diner, serving steamy hamburgers and hot dogs out in sunny California, started out in 1948 and started getting very popular after that. As the years went on, their popularity would enable them to open branches in over 30 locations. Eventually their luck would run out, and the “Doggie” met its demise in 1986. 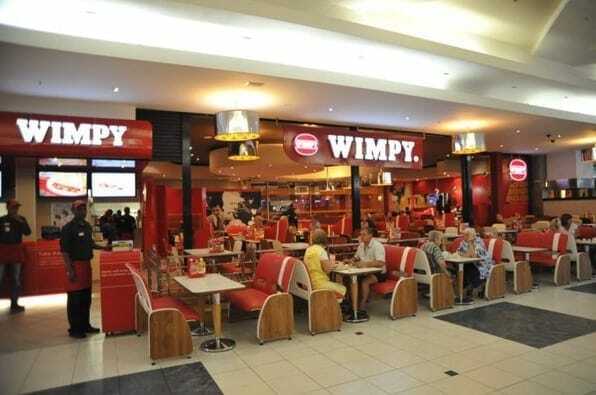 Hailing from Bloomington, Indiana, Wimpy was originally founded in 1934 by Edward Gold, who found inspiration for the name from the Popeye cartoon character, Wellington Wimpy. As he famously says, “I’ll gladly pay you Tuesday for a hamburger today,” it’s not surprising that Gold felt that this particular character was appropriate mascot for a burger chain. However, although the chain got its start in the States, it would ultimately diminish, and the headquarters currently reside in South Africa. 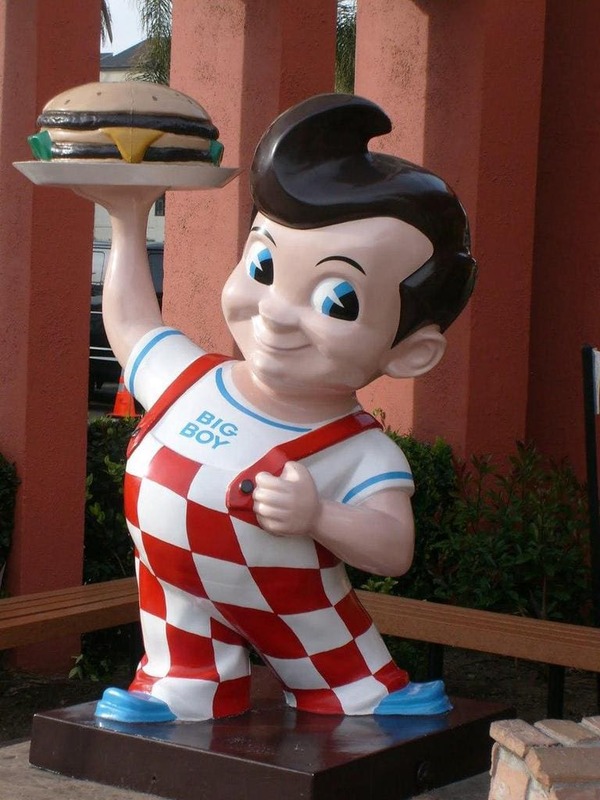 If you recognize the mascot in this picture, it’s because this iconic mascot of the “Big Boy” holding up a burger was visible on highways all over America for a long time in the mid-20th century. Getting its start in Glendale, California, in the 1940s, their double decker burgers were incredibly popular, and certainly helped garner a significant amount of positive word of mouth. That said, there are only a meek five branches still running today, out in Southern California.